4.) Bernie believes in police cameras and demilitarizing and diversifying police forces. 5.) 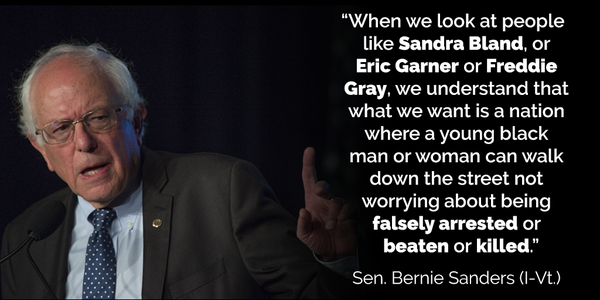 Bernie believes in restoring the Voting Rights Act. 6.) Bernie wants to make public universities tuition-free by imposing a Wall Street tax. 7.) Bernie believes in automatically registering all Americans to vote once they turn the age of 18. 8.) 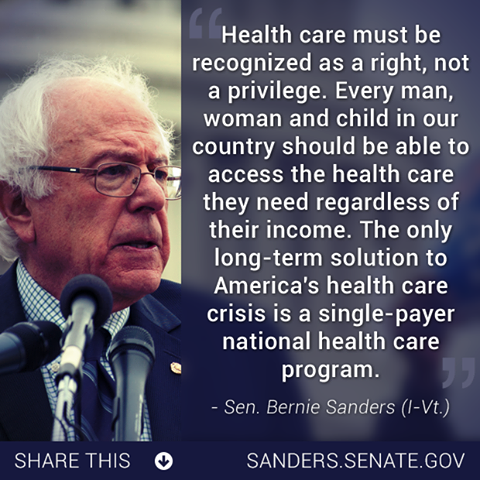 Bernie wants a single-payer, universal health care system. 9.) Bernie “filibustered” for eight-and-half hours against Bush-era tax cuts, specifically the provisions that benefited high-income earners. 10.) In 2015, Bernie introduced a bill to raise the minimum wage from $7.25 to $15 an hour by 2020. 11.) 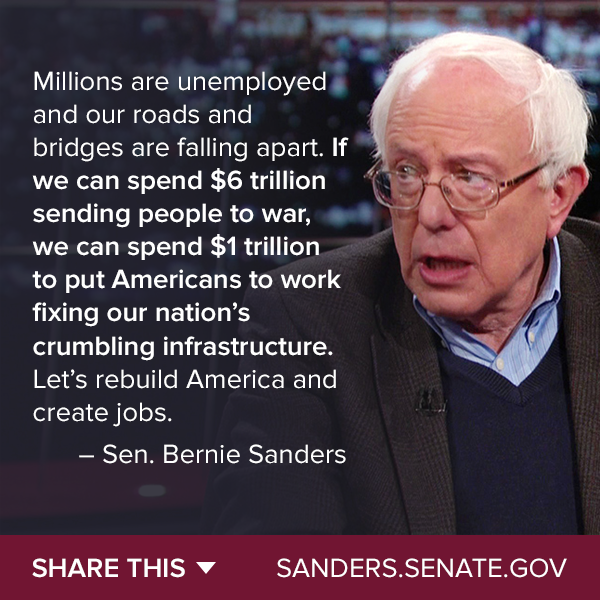 Bernie wants to invest $1 trillion in fixing our crumbling roads, public transit and waste plants which will provide jobs to Americans, particularly veterans. 12.) Bernie wants to reverse NAFTA and bring jobs back to America. 13.) Bernie believes men and women should be paid equally. 14.) 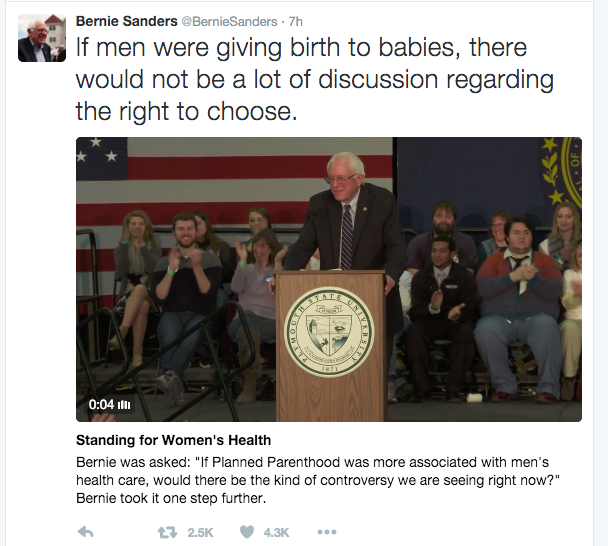 Bernie wants to expand funding to Planned Parenthood. 15.) Bernie believes that every employee should have 12 weeks of paid family and medical leave, two weeks of paid vacation and seven days of paid sick days. 16.) Bernie does not ask for money from billionaires or Wall Street. He even donated his check from notoriously douchey pharmaceutical CEO, Martin Shkreli, to an HIV clinic. 17.) 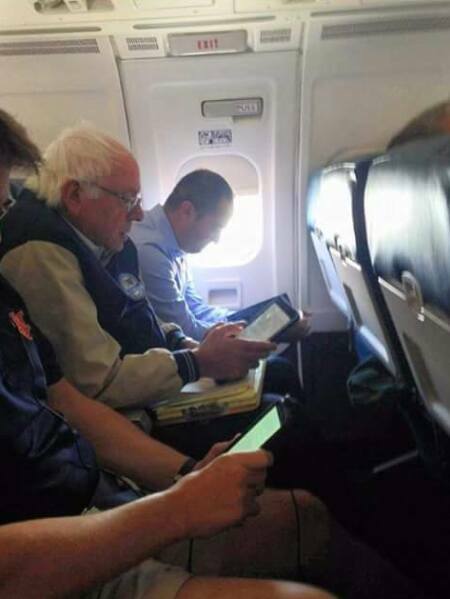 Because Bernie flies coach. 18.) Bernie wants to break up big banks and end the practice of paying out big bonuses to CEOs. He also wants to reenact Glass-Steagall, a 1933 act that separated risky trading from conventional banking. 19.) Bernie has been a supporter of gay rights for decades. 21.) Bernie opposed the 2003 invasion of Iraq. 22.) 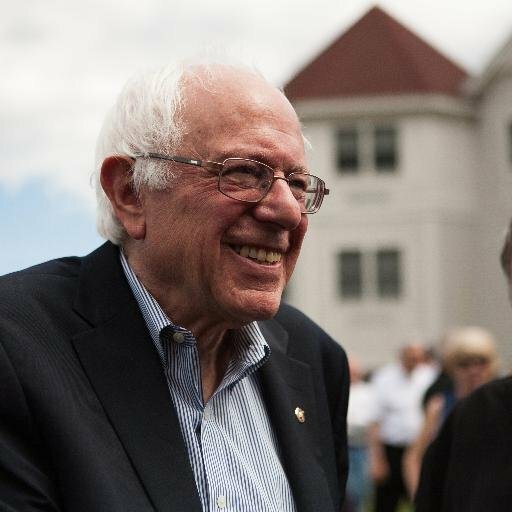 Bernie was instrumental in pushing 2014 legislation that added billions of additional dollars to the U.S. Department of Veteran Affairs. He also believes in supporting our veterans by offering them excellent health care and getting their benefits to them quickly. 24.) 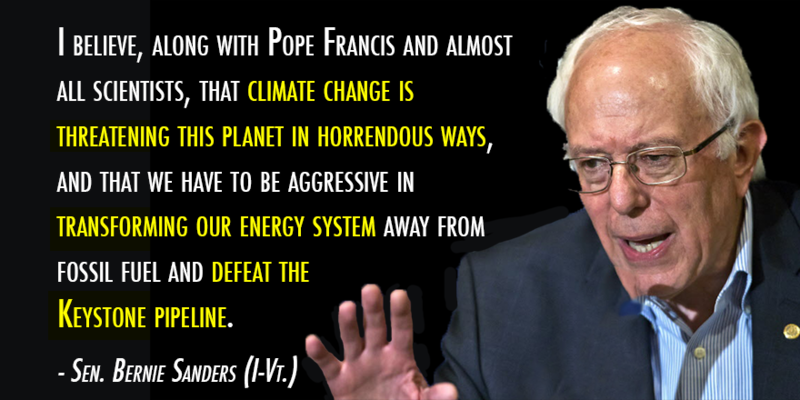 Bernie is serious about climate change and has a full plan on how he wants to combat it. This plan includes transitioning away from fossil fuels and investing in clean energy. 25.) Bernie believes in treating immigrants fairly and humanely, while creating a respectful system of legalization; he promises to use executive order if Congress prevents him from doing so. And on the fun side, he looks like Doc Brown, he was mayor of one of the most hippie cities in America, Burlington, Vermont, and he released a folk album. Just reading this list gives me faith that there are sane people out there. Great list, and all reasons I’m voting for him too. Here’s hoping he gets the Democratic nom. 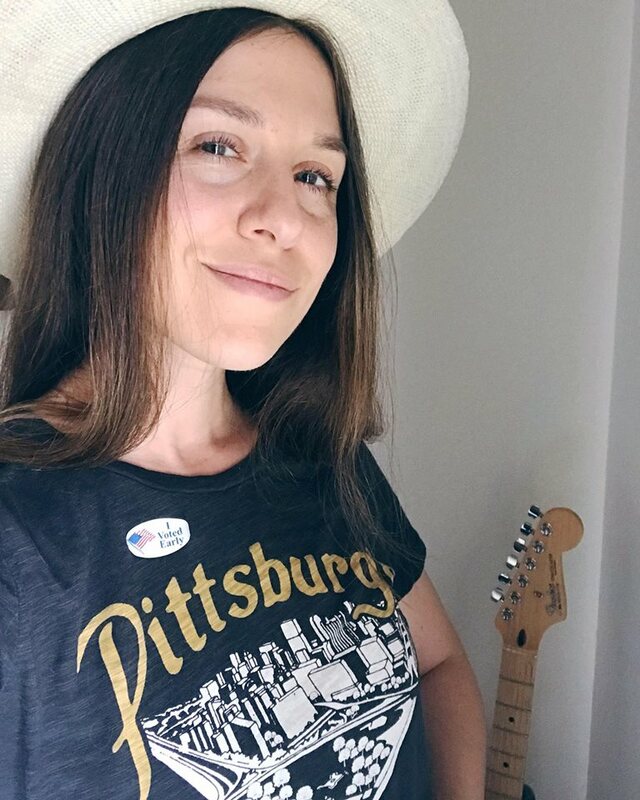 Seems like each presidential election has a lot of “vote for the lesser of the evils” feeling to it, at least the few I’ve been able to vote in. It’s a cool feeling to be *actually* excited about a candidate because of who they are and what they believe. I’m feelin’ the Bern too! Yay, free stuff for everybody!! And a little bit of education (economics and history for starters) wouldn’t hurt either. Please share with me your education in economics and history; I’d love to hear more. I’m a little disappointed in this article. It’s my first time to this blog. I really like a few of your other post on medium. I think about 7 items on the list are good. The rest have pros and cons. And quite honestly many have huge hidden cons under what might sound good under the surface. Take for instance free college. Colleges need to be reformed and made more efficient. There are already open courseware programs where MIT (and many other universities) offer many classes can be taken for free. Funding all universities and making them free would not work as well as people making a benifit analysis. Education about college choices are much more highly needed. Trade programs are quite honest in higher need than free college. My main point is not to say it’s bad, it’s to say many improvements can/and need to be made as a prerequisite to making things free. I don’t want to beat up on this post too much because I think your post is sincere…. It just seems there isn’t a real understanding of all of the negatives of these positions. David’s points are spot on with my own beliefs and the primary reason I will not vote for Bernie. College tuition is the largest waste in America right now. Universities have been allowed to jack up tuition while all building their own little versions of ancient Rome. They are the most inefficient institutions in the world. I actually worked in a marketing department at one of the largest universities in the country and I can tell you that we had twice as many employees than we needed and our jobs were to promote programs that had no business being pushed to students. My own job was pointless and a total waste (I very happily resigned when I realized how much of my life I was wasting working for a place that really didn’t’ need me). Budgets are never audited or scrutinized. It’s ridiculous. I can not support a man who wants to support such waste with my tax dollars. Universities need reform NOW. And throwing them more money that’s backed by the feds and our tax dollars is not the answer. Just reading these replies gives me faith that there are sane people. Dawn, it wouldn’t be free. I suggest you educate yourself on his policies, and maybe look up other nations that provide free university and healthcare to their citizens to see the systems they already have in place. While you’re at it, consider checking out how American taxpayer money gets mismanaged and run some numbers to see if we can better spend it for the American people and not the richest of the rich. And on the topic of complaining about “free stuff”, well public school is “free”. Should we get rid of that institution? Should only children whose parents can pay for them to go to elementary school receive a basic education? What about “free” emergency services? Should only people with enough disposable income be able to call the police department, or have a fire in their house put out? We already provide services to the people “for free” through their taxes. Please spare us your nonsense and get a clue before you return. Totally agree. Come and visit any Northern European country and see that the ideas that Sanders are proposing, are working here like clockwork. Here in Germany everyone is entitled to health care and university education, even in remote areas the public transport system is amazing as is the quality of the roads. Everyone is also entitled to 24 days vaccation and both partners are entitled to take up to 14 months when they have a baby. In comparison everytime I visit the US I am shocked at the quality of the highways, the non-existent public transport system, and the fact that 10 days vaccation is a luxury. I’d love to take your advice and access higher education, especially in history as it’s my favorite, but I can’t afford the debt. Senator Sanders is my candidate. Bernie will be the best candidate. Has wisdom, integrity, and character to make right decision.